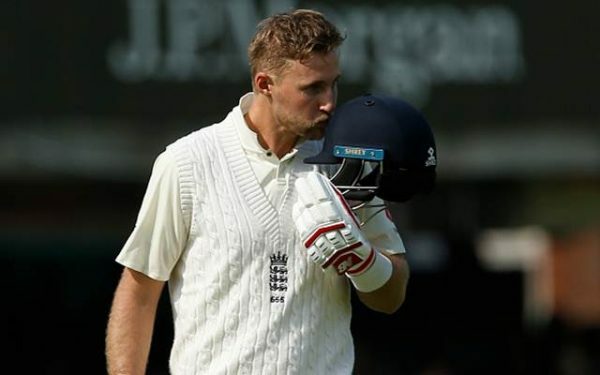 The much awaited Test Series between England and South Africa finally took place at Lord’s today as Lord’s saw two new captains by the name of Joe Root and Dean Elgar, leading their respective sides to the toss. After winning the toss, Joe Root elected to bat first and found Vernon Philander and Morne Morkel too hot to handle. However, Joe Root weathered the storm and ensured the team did not collapse as the home side ended the day in a position of solidarity. Root and Ali remained unbeaten in the process, and after important contribution from Stokes, England ended Day 1 on 357 for the loss of five wickets. Let us look at the five game-changing moments in the game today. Vernon Philander was as good as unplayable after Joe Root won the toss and elected to bat first. Many questioned his decision to opt to bat first on the green pitch at Lord’s after witnessing the splendid spell from Philander. He took the openers Cook and Jennings out of the equation by dismissing them cheaply. He might have had the rub of the green from the Lord’s pitch as he claimed the wicket of Jennings thanks to an umpiring blunder. Had Jennings took the review, he would have stayed at the crease. But one has to give credit to the swing and seam bowling of the Protean, as he dismissed Cook off to a beauty which the left-hander nicked to the keeper. He came back and dismissed Bairstow when England was looking consolidate. He did not go beyond two and a half throughout the day, conceding only 46 and picking up 3 wickets. With Philander doing most of the damage, Morkel and Rabada gave able support to the spearhead. They did not give any easy runs to Englishmen who were looking to counter-attack with the early fall of wickets. Overall, the morning session belonged to the South Africans as they drew first blood in the high-intensity series. England had to fight for each and every run they scored in the morning session, thereby, many questioned the very first decision he made as the captain of the English side. Then the home side was precariously placed at 82-4, as they were forced to take a sour lunch by the visitors. No one expected Root and Stokes batting in the middle, negotiating for lunch, in the very first session. Root tried to slash one towards Point from Rabada and only managed to edge past Duminy who may have been caught napping due to the slow over-rate. He was batting at 16 at that moment with Bairstow. Ben Stokes played his natural game and stitched a vital partnership with his captain, to score a counterattacking yet watchful innings of 51, scoring eight boundaries and a maximum in his innings. From 76-4, the duo took their team towards respectability with their 114 run partnership. After Ben Stokes was dismissed for 51, Moeen Ali came in to bat with his captain who was looking at his majestic best at 83. Together with Root, they avoided any further hiccup as they ensured that the home team did not lose any more wickets throughout the day. The Ali-Root partnership was chanceless as they concentrated on consolidation and added as many as 167, battling it out until Stumps. However, in between, there was a moment when South Africa was expected to make inroads into the English tail. Keshav Maharaj deceived Root, who was batting on 149 as he enticed Root with his flight. The captain was stumped but was called back later after replays clearly showed that Maharaj clearly overstepped the line. Moeen Ali ended the day, remaining unbeaten on 61 of 105 deliveries. Joe Root was the latest to join the league of the Fab Four of International Cricket to score a century on captaincy debut. Even Virat Kohli, Steve Smith, and Kane Williamson have achieved the same feat. However, this innings would stand out in his cricketing career as he played the role of a sheath anchor with wickets tumbling continuously at the other end. He cashed in with the rub of the green he had, after being dropped on 16 and being stumped at 149. He ended the day with him being unbeaten on 184. Coming in to bat, with his side precariously placed at 17-2, Root ensured that England still managed to end up in a position of solidarity.